Reigning Bellator light heavyweight champion Ryan Bader made history last month when he destroyed Russian Legend Fedor Emelianenko in just 35 seconds at Bellator 214, and becomes the first fighter in promotion history to hold two titles simultaneously. Bader now holds both heavyweight and light heavyweight titles. That’s the same feat Daniel Cormier earned it last year and became the first fighter in UFC history to hold the light heavyweight and heavyweight titles concurrently. First, he scored the vacant 205-pound belt after submitting Anthony Johnson back in 2015 then knock out Stipe Miocic in the round one of UFC 226 to win the heavyweight belt. Both fighters hold the same title in different promotions, a fantasy talk of the Bader and Cormier facing off was inevitable. To remind you after outwrestling Matt Mitrione at Bellator 207, Bader addressed a cross-promotional champ vs. champ fight with Cormier. These two have some history together, Cormier and Bader never get an opportunity to fight during Ryan’s run in the UFC, but they almost fought each other in 2015. During the press conference, both fighters got into a heated altercation, Bader confronted Cormier. 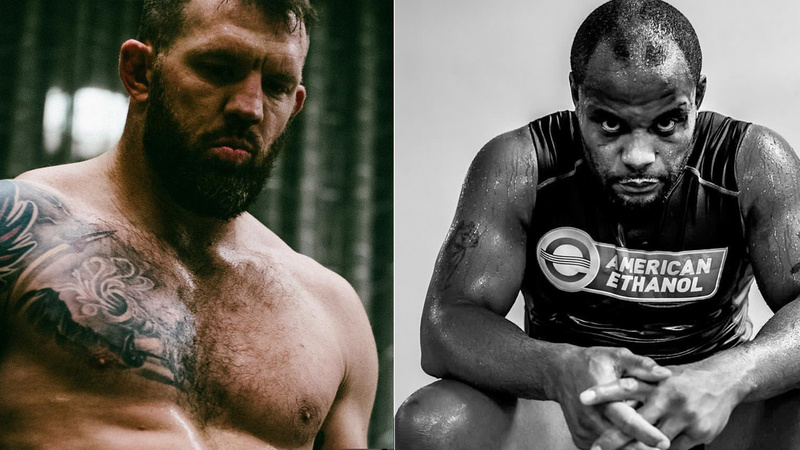 Chances of happening a match between these two champions are likely slim, but Ryan Bader’s MMA head coach Jair Lourenco says he’d love to see this super fight to happen. Jair Lourenco further said Bader has a ‘great chances’ of finishing Cormier inside five rounds should this super fight comes to fruition. Do you think this contest would ever happen? If they ever clash who do you think will win the bout?